The Pinnacle Premium Theme comes with built-in shortcodes and a shortcode generator. When writing a post or page you can use these shortcodes to make richer content for your site. 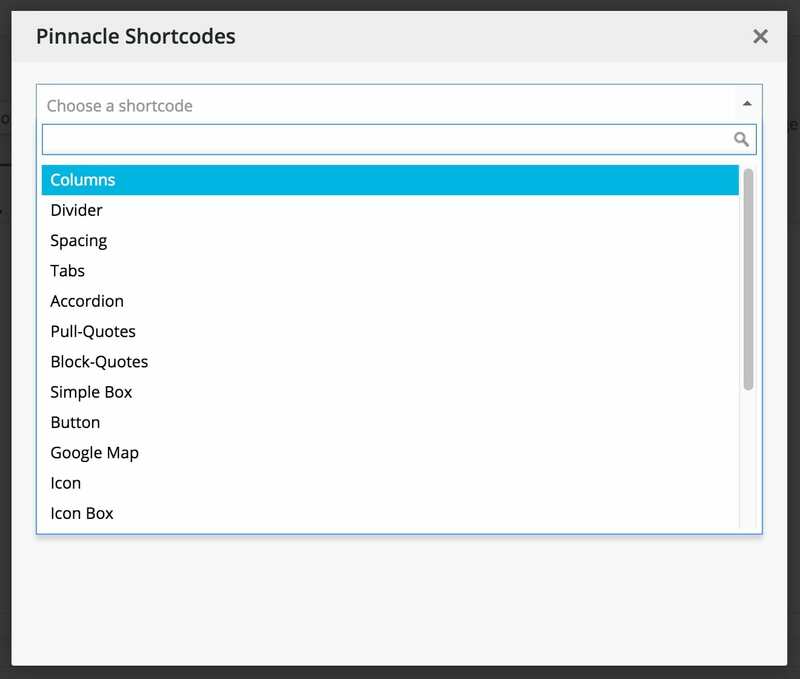 To use the shortcode generator click on the “Pinnacle Shortcodes” button inside your page or post. type => post, portfolio, featured-products, sale-products, best-products and cat-products. columns => 2, 3, 4 and 5.